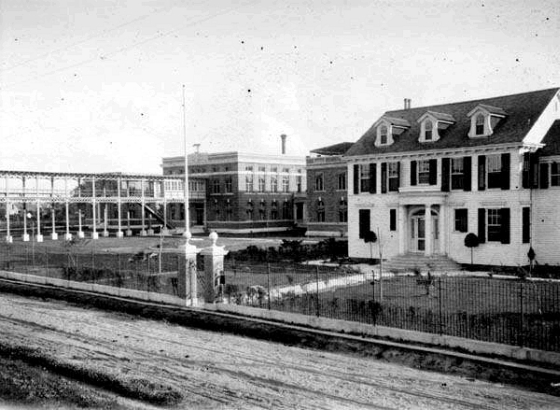 The U S Border Patrol New Orleans Sector Headquarters now sits on the site of the old U S Quarantine Station, the sister facility to the long-since demolished U.S. Immigration Station in Algiers. UNO's Senator Nat G. Kiefer University of New Orleans Lakefront Arena opened on November 1, 1983. 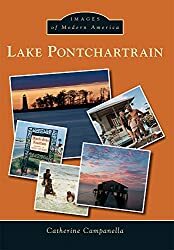 In August 2005, as a result of massive damages sustained during Hurricane Katrina, the building closed for substantial repairs and renovations for nearly three years. During this time, the school's men's and women's basketball teams played their home games in their former home, the Human Performance Center (or "The Chamber of Horrors" as it grew to be known during the late '70s and early '80s). The arena held its grand re-opening May 2, 2008. Disney's "High School Musical: The Ice Tour" was the first show to perform. Ladies PGA golfer Kelly Michael Gibson was born in New Orleans on May 2, 1964. 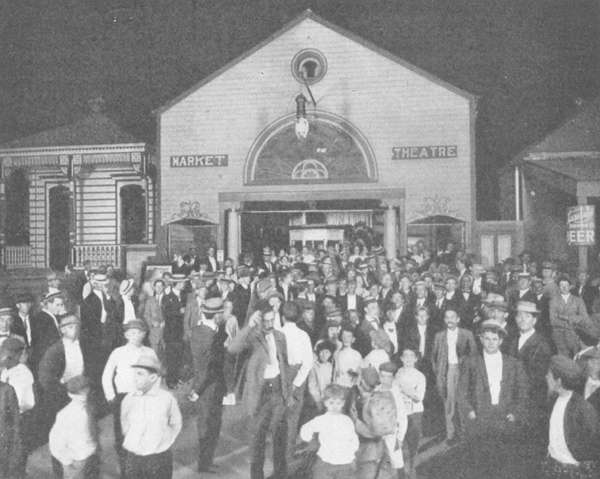 Photo of the the Market Theater, located on Teche Street near Foto's Market, which provided Algerines with silent movies and vaudeville acts. The theater's farewell performances took place on November 14, 1915. The next day, the owner, Philip Foto, opened a new movie house, Foto's Folly Theater which was later affiliated with United Theaters, Inc. Foto, a New Orleans native, also managed Panama Ice Company. He resided at 1801 North Broad, where he died on Wednesday, May 2, 1956 at the age of 85. He was buried in Metairie Cemetery. The 7th Ward Branch 9, at 1902 St. Bernard Avenue, of the New Orlans Public Library opened on October 8, 1946. It was replaced and renamed The Nora Navra Branch, which was dedicated on May 2, 1954 after being partially funded by the $15,000 bequest of Miss Navra in 1946. The second building sustained major flood damage in the aftermath of Hurricane Katrina and was closed, gutted, and scheduled for a rebuild. On May 2, 1944, the Liberty ship Frank Adair Monroewas launched by Delta Shipbuilding Company.